On May 9, Gina Rubinsky, a registered psychologist and mindfullness-based stress reduction facilitator, will lead a workshop to reduce stress and stress-related illness through yoga and meditation. In this interview, Rubinsky explains the concept and practice of mindful living. 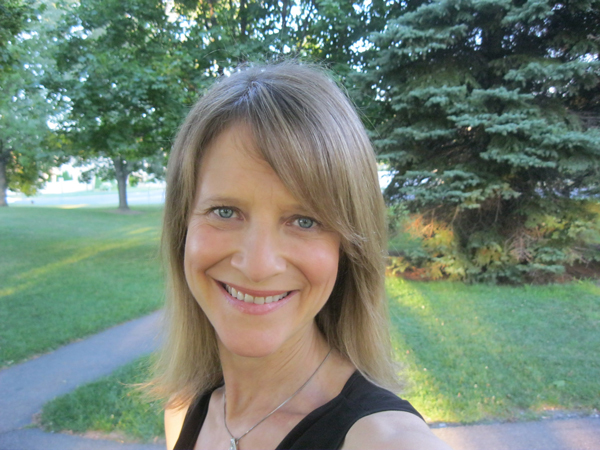 Gina Rubinsky is a registered psychologist, certified Kripalu yoga instructor who specializes in mindfulness-based stress and pain reduction. And that, says Gina Rubinsky, is the very crux of the modern person’s dilemma – we are too preoccupied by what we have to do today, tomorrow and a week from now, to allow ourselves the time to embrace the present moment. The here. The now. On May 9, as part of National Mental Health Week, Rubinsky will deliver a lunchtime workshop for faculty and staff titled Mindfullness Based Stress Reduction and it Relevance in our World. During the workshop, Rubinsky will discuss the many benefits of leading a more mindful life and will lead participants through a guided mediation exercise that will teach them how to focus on the here and now. But even the task of focusing on one’s breathing is fraught with distractions. Most people new to meditation will start to think about their breathing – “I should breath more deeply,” “I breath too quickly,” etc. Instead, they should be concentrating on sensations like the rise and fall of the abdomen and the slight heat they feel in their belly with each breath. “Only when we are free of the thinking mind – and all the stories and commentary that comes with it – are we truly open to the moment,” she says. Rubinsky says one of the great benefits of mindfulness is an increased ability to respond to stressful situations. Too often, people avoid dealing with such situations by distracting themselves. They surf the net, they watch TV, they check their emails and, in more severe cases, they turn to drugs and alcohol. And while all of these can help alleviate immediate anxiety and stress, the respite is short-lived. “It is a false refuge because it is just a quick fix. You aren’t really confronting things,” says Rubinsky. “The only way to really move through anything that is difficult is to be present with it. For more information on the May 9 workshop and to register, go here. For more information of Gina Rubinsky and her work, go here.